The history of the house is really old. This is a house of traditional architecture from the late seventeenth century. 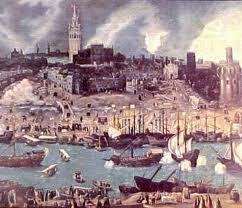 This period will be marked by the economic decline of Seville, after having been one of the major European ports and trade hub with the new world; and by the terrible plague of 1649, that reduced 46% passing the population of 130.000 have. a 70.000. 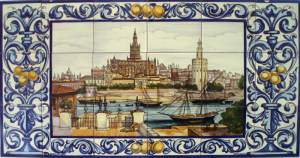 The fact that Sevilla at that time became a city-convent, with innumerable monasteries of all ecclesiastical orders scattered throughout the city; led to the flowering of the Baroque (mainly ecclesiastical). In painting with names like Valdes Leal, Murillo, Zurbarán, sculpture and Martinez-Montañés, o Juan de Mesa, perpetrators of innumerable carvings imagery of Holy Week in Seville. During the S. XVIII, what is now the courtyard inn became animals. There are still the rings on the walls to tie the cattle, and the well was believed to abrevarlo. Also note that in the nineteenth century this building along with the adjoining houses were part of the Hosteria del Laurel, just stayed where Zorrilla and inspired him to write his "Don Juan Tenorio". During the twentieth century the house has been home to many artists and bohemians. 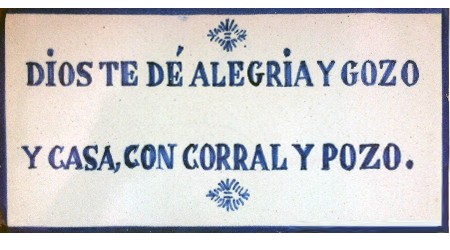 From 1987 become an exquisite restaurant, Water Corral takes its name from its past as poultry and its location in the Callejón del Agua, along the walls of the Alcázar Almohade lag by a viaduct that supplied water palace. Comment also existed corralón XVI century tenement called Water Corral Cespedes street number 13, so called because it had a fountain in the middle that supplied water to the 600 people who lived in the. Currently there is nothing standing.